Why should children study the past? How do we teach them the relevance of history without making our lessons boring? What could be a fun way of explaining the meaning of the word ‘past ’ to a nine year old? 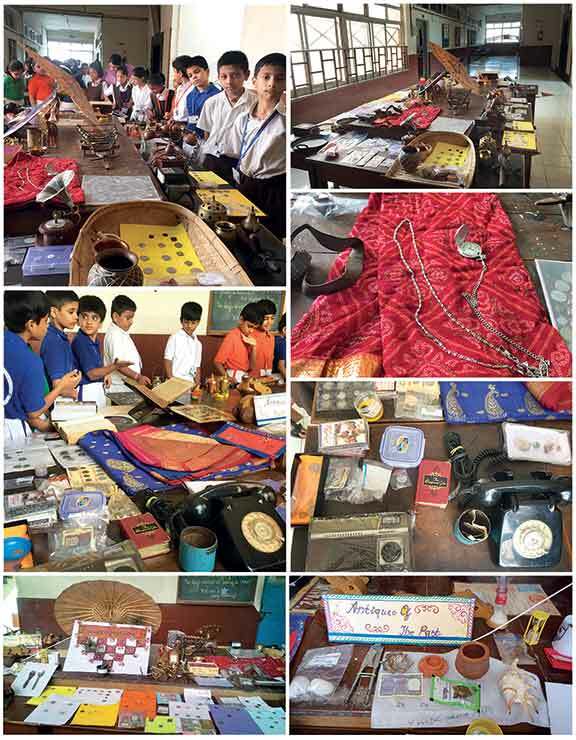 It was in response to these questions that the teachers of class 4 came up with a unique and innovative method of teaching the past – an exhibition of antiques. Both teachers and students contributed to the display. The antiques display comprised coins from the reign of Shivaji, a 170 year old Paithani sari, handwritten manuscripts, gramophone records, stamps, utensils made of iron, bronze and copper, nut crackers, gun case, fossils, telephones used in the 1990s. The exhibition inculcated interest in the minds of young learners. It helped them explore, inquire and develop a strong foundation for their intellectual growth. They were also able to understand that we have reached the current stage of development because of the advances we made in the past. The author has been a teacher for 20 years. She teaches history in Smt Sulochanadevi Singhania School Thane. She is an innovative teacher with a passion for reading. She can be reached at jyotip72@yahoo.com.